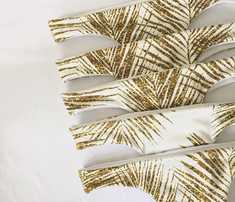 mirabelleprint says: Handmade bikinis by kalokiniswim.com. 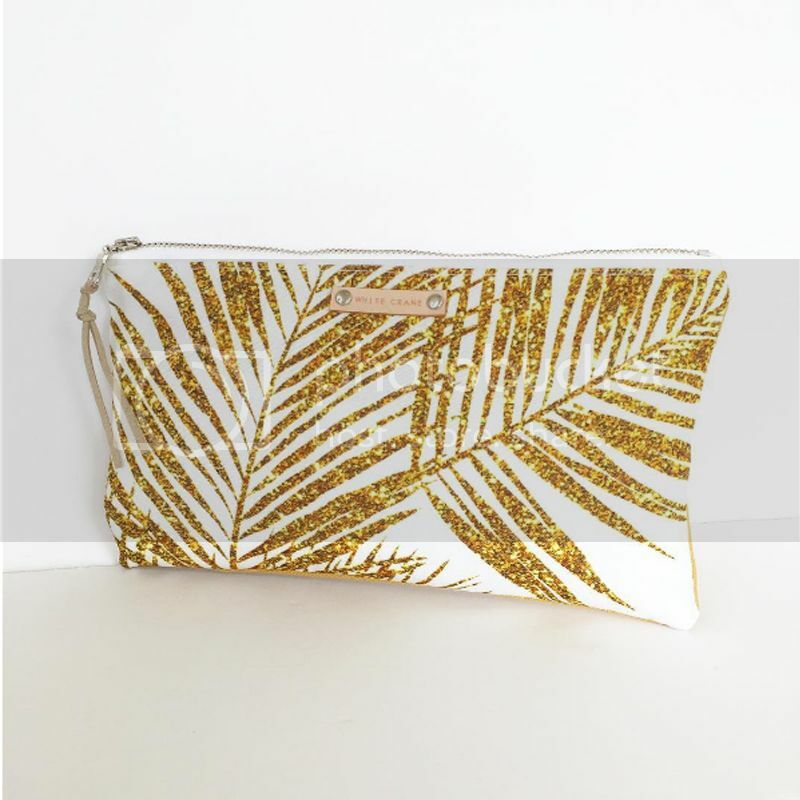 mirabelleprint says: Zipper clutch made by White Crane Accessoires. 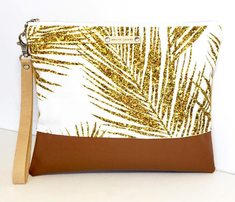 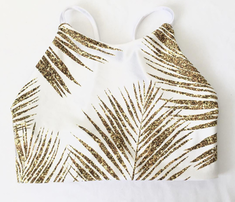 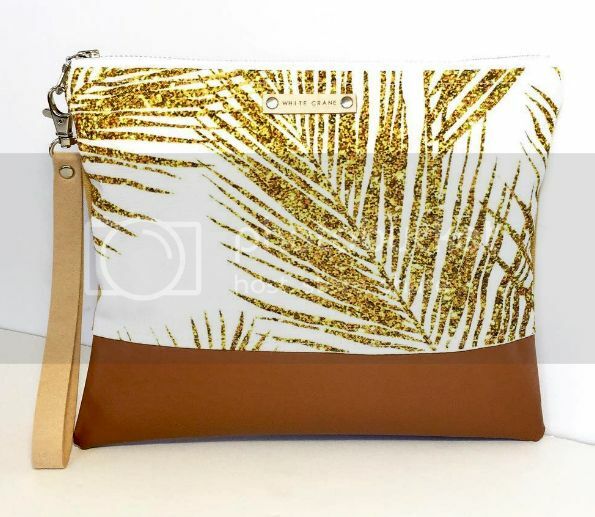 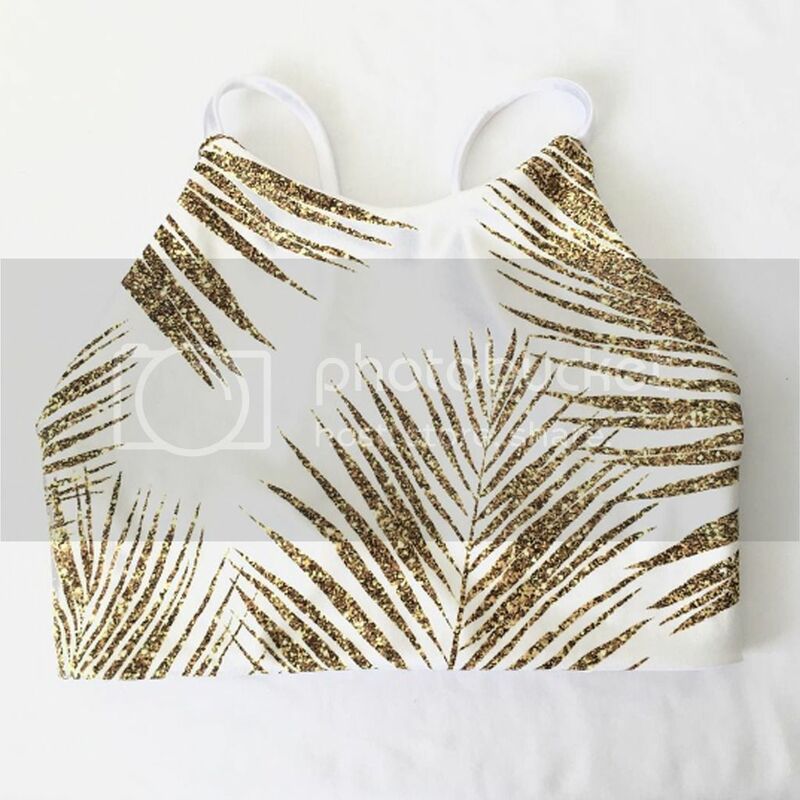 She used Gold glitter palm leaves – white large, printed on Eco Canvas. 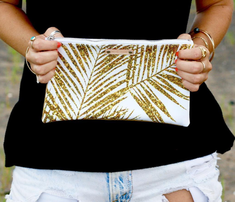 Thanks so much for sharing the photo ! 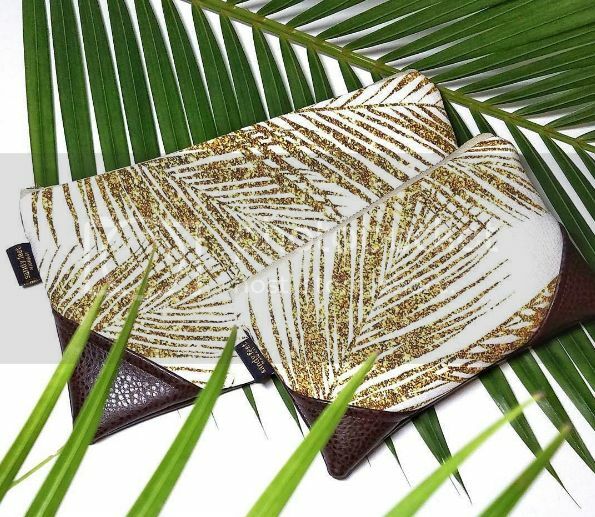 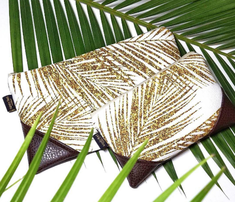 mirabelleprint says: These beautiful clutches are made by Sandy Feet Hawaii. 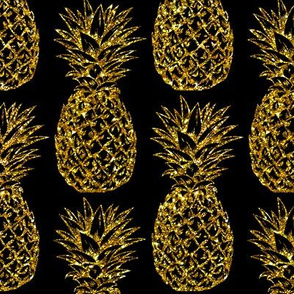 I really love them! 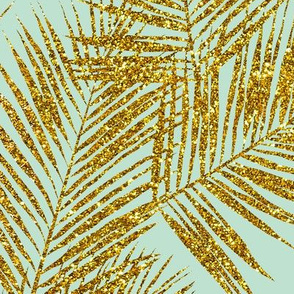 She used my gold glitter palm leaves on white, printed on Linen Cotton Canvas Ultra. mirabelleprint says: Thank you Faith! seesawboomerang says: Nice - love the clutch! 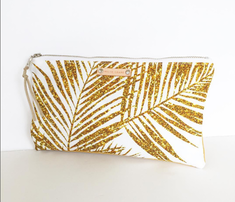 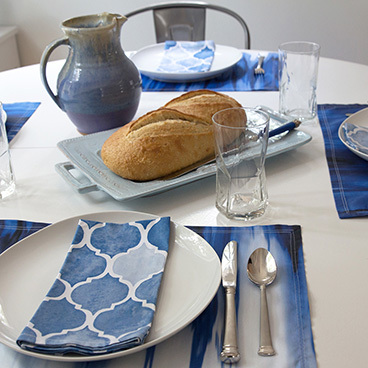 mirabelleprint says: Whitecraneaccessories made so beautiful clutches from my fabric. 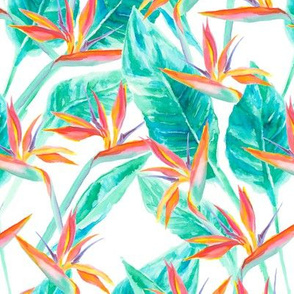 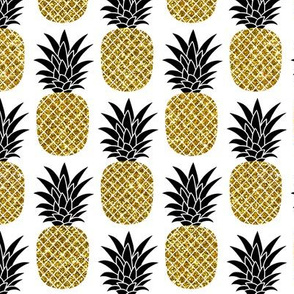 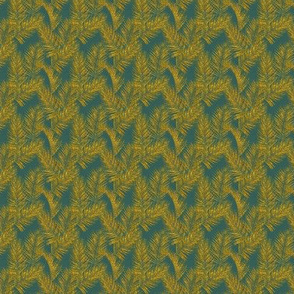 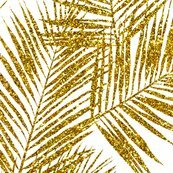 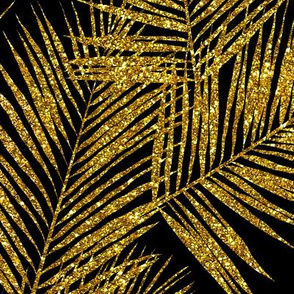 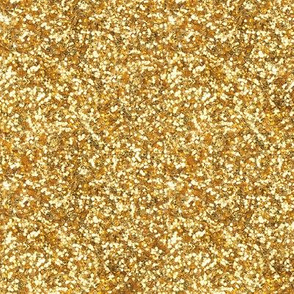 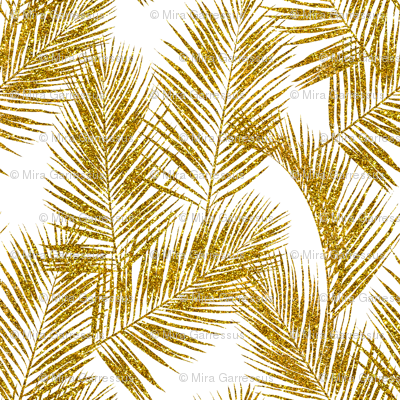 Gold glitter palm leaves – white, printed on Eco Canvas. 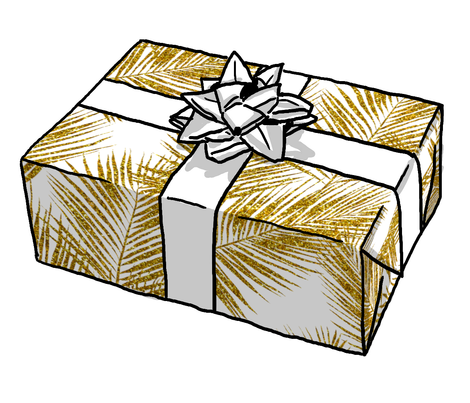 Thanks so much for sharing the photos !